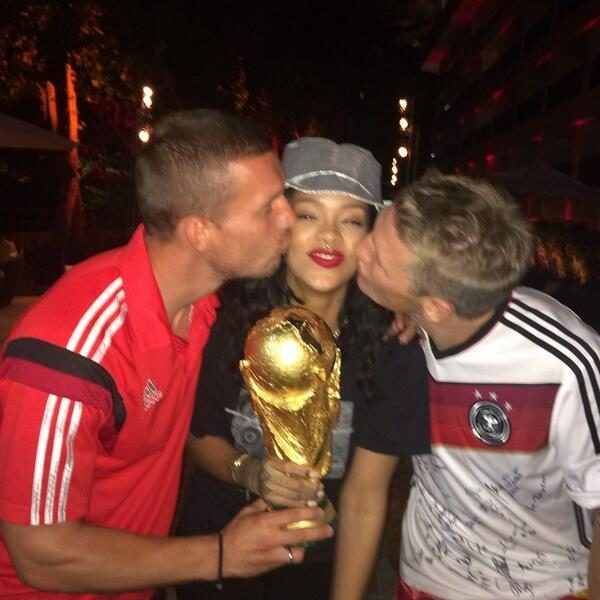 All through the 2014 World Cup, pop superstar Rihanna kept her fans captivated with her World Cup tweets. 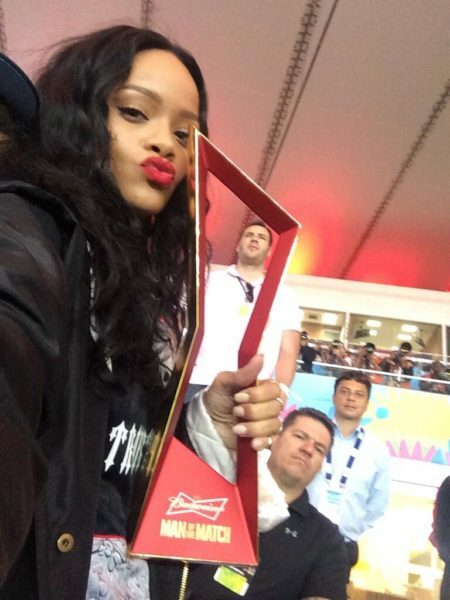 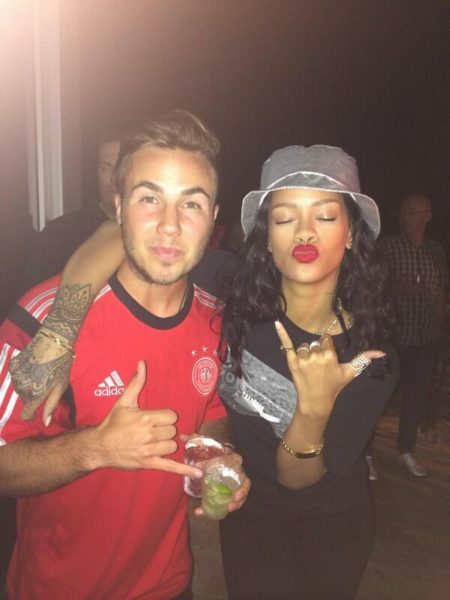 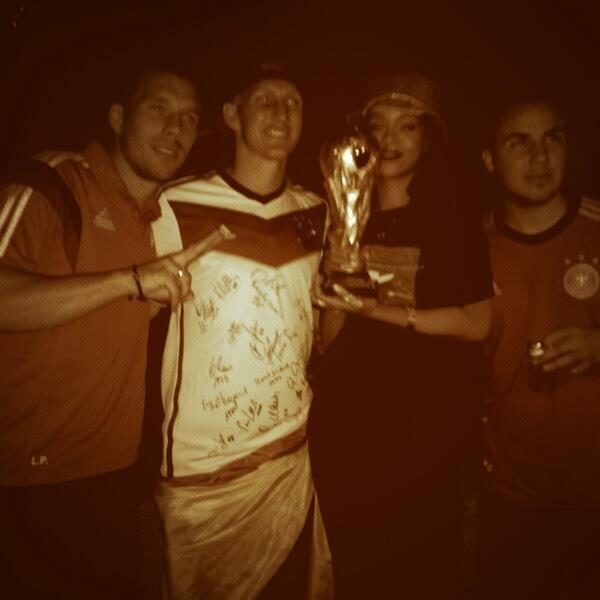 Just a few days before the finals, Rihanna jetted into Rio to support the German National team. 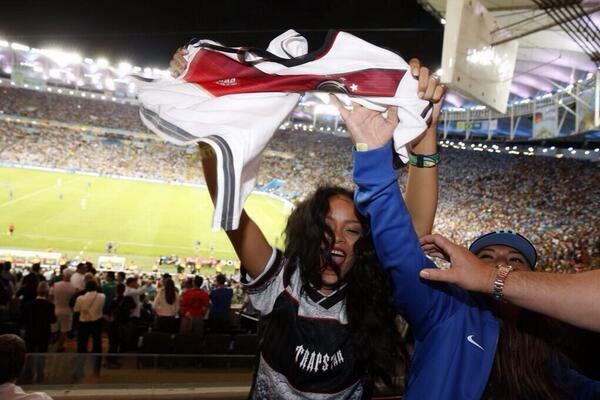 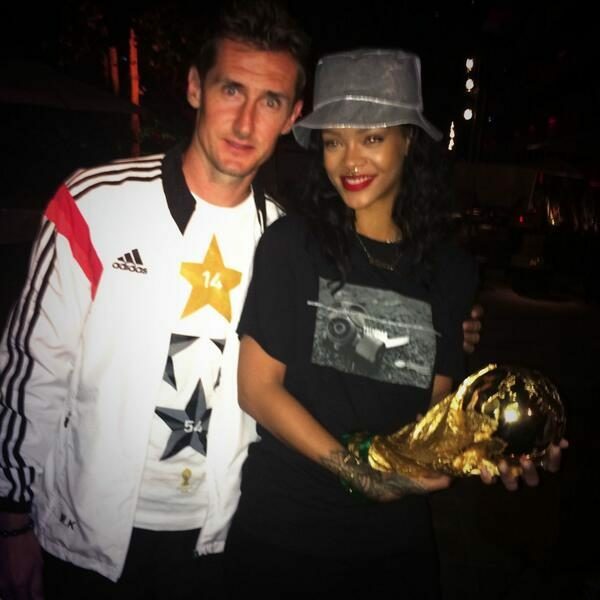 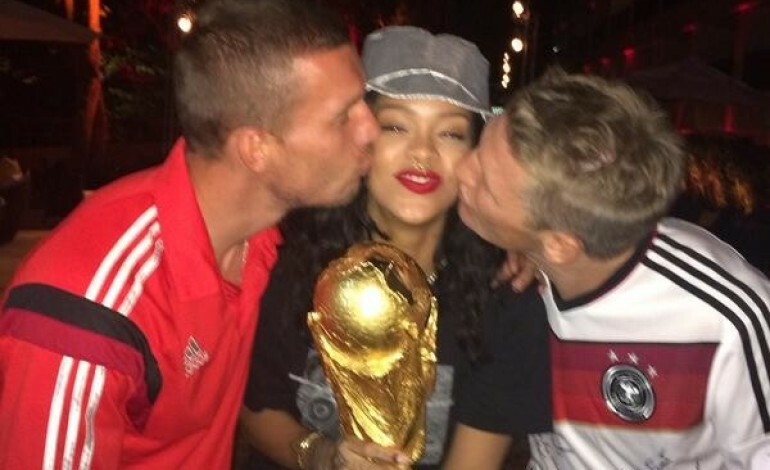 After her favourite team won, Rihanna celebrated by “flashing” in the stadium, then hanging out with the German players and finally holding the World Cup!